One man was killed while a male minor landed in the hospital in critical condition after they were shot by a still unidentified suspect in Inabanga on Monday. 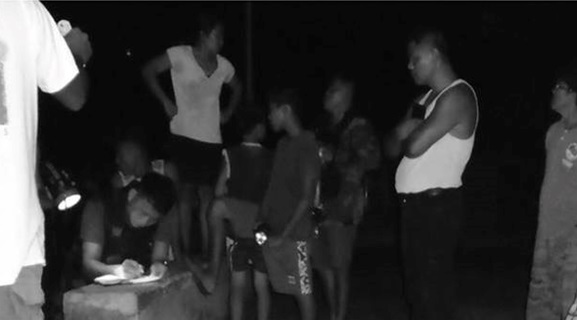 Inabanga police investigator PO3 Mitchel Nioda identified the fatality as Ryan Betinol, a 21-year-old resident of San Jose, Inabanga and noted that the injured victim is a 16-year-old resident of said village. According to Nioda, the victims were standing at a basketball court in their village when the lone gunman suddenly went near and shot them at 7:40 p.m.
Betinol was reportedly shot and hit three times in the back while the minor was hit four times in the right part of his body including his rib, buttocks, leg and foot. According to police, the gunman who immediately fled after the shooting used a .38 caliber revolver in attacking Betinol and the minor. Both victims were taken to the Sagbayan Hospital but were then reffered to the Gov. Celestino Gallares Memorial Hospital in Tagbilaran City due to the severity of their injuries. However, Betinol succumbed to his injuries on the same day, while the minor remained in the hospital’s intensive care unit. According to Niodas, police are eyeing personal conflict as primary motive behind the gun attack on the two victims particularly as Betinol figured in a fight in Sagbayan prior to the shooting incident. Both victims had no reported involvement in illegal drug activities, said Niodas.